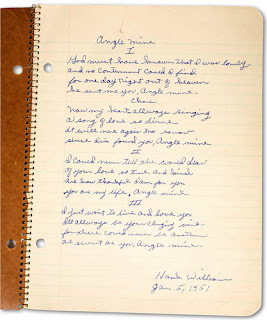 A page from Hank Williams' notebook. 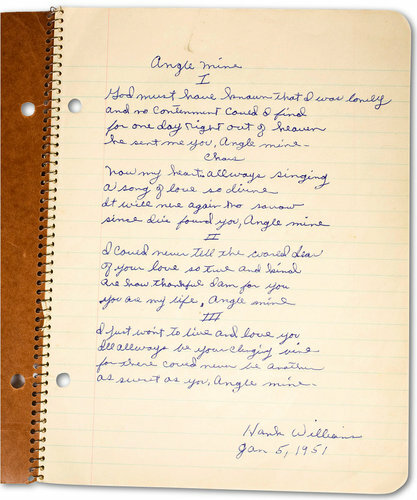 “Intuitively I knew, though, that his voice would never drop out of sight or fade away,” he continued. Read it all here. 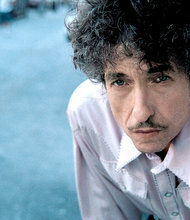 Jakob Dylan also contributes to the album.